Plantar Fasciitis Causes: Are You at Risk? So how does this all tie into plantar fasciitis causes? 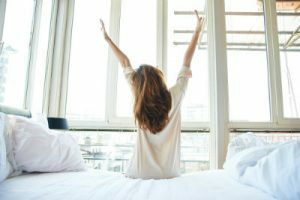 Well, whether you choose to wake up early or hit the snooze button several times, waking tends to lose its allure when you are greeted with sharp heel pain accompanying the first steps of the day, which is a major warning sign of this common condition. Essentially, the main cause of your pain is an inflamed connective tissue that runs along the bottom of the foot (plantar fascia), connecting the heel and forefoot. The fascia helps support the foot arch, but issues arise when excessive pressure is placed on it. In response, the tissue sustains tiny tears, which the body begins repairing during periods of rest (like overnight). When the healing tissue faces additional strain before it is completely healed, the tears reopen and intense heel pain is the result. Age. This condition most often affects individuals between 40 and 60 years old. Obesity. Carrying extra bodyweight places additional stress on the plantar fascia. Biomechanical issues. Both high and low arches can lead to gait abnormalities that increase your chances of heel discomfort. Exercises. Any activity that places extra stress on the heel and connective tissue can lead to issues, but we have tips to help with this! Certain occupations. Individuals who spend most working hours on their feet also have heightened risk and may benefit from a pair of orthotics. Contact Dallas Podiatry Works if you are experiencing intense pain caused by plantar fasciitis and we will provide the treatment you need. Call us toll-free at 972.566.7474 or schedule an appointment with either of our Dallas and Plano, TX offices online today. Be sure to follow us on Twitter and like our Facebook page to stay connected and receive valuable health tips and news!